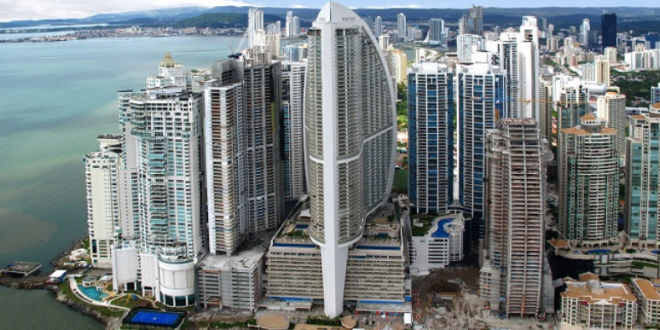 PANAMA: Trump Building Tied To Russian Mafia - Joe.My.God. Investors and customers of the Trump Ocean Club International Hotel and Tower in Panama City carried deep ties to organized crime and drug trafficking, according to an NBC News and Reuters joint investigation. A Brazillian real estate salesman who partnered with the Trumps to attract condo buyers for the tower told NBC that the Trumps and others connected to the project were unaware that he was attracting shady investors to the project, but that they never asked any questions. “I had some customers with questionable backgrounds,” said Alexandre Ventura Nogueira, who spoke to NBC on camera but under disguise from an undisclosed European city. “Buenos días,” she says in the video. “Hello, I’m Ivanka Trump. Welcome to Trump Ocean Club International Hotel and Tower, Panama, rising 70 stories above the glistening Panama Bay. We’ve taken inspiration from the beauty that surrounds us to create a new landmark for Panama.” She goes on to discuss such details as the “tropical color palette” and the carvings on the guestroom headboards.